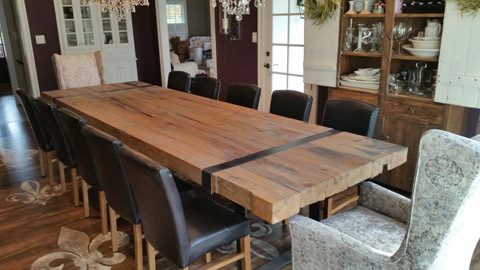 ATS Studios attained old barn beams from Pennsylvania for the custom table. Assembling the table took multiple steps over a year duration. We first had the beams cut down at a saw mill and due to nails had to hand plain the individual beams. ATS created a custom design for the table base and iron straps for structure support. 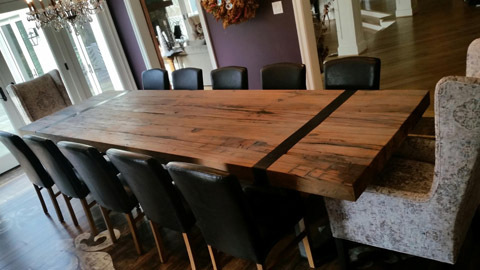 The table was designed to be taken apart and moved in pieces. It now adorns a beautiful dining room in the Potomac countryside. 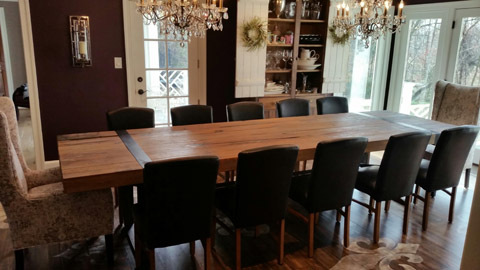 Scope: To handcraft six barn beams to create a dining room table.